Zapier is a web based software that allows you to connect various online tools and web services together — an event in one service can trigger an event in another. 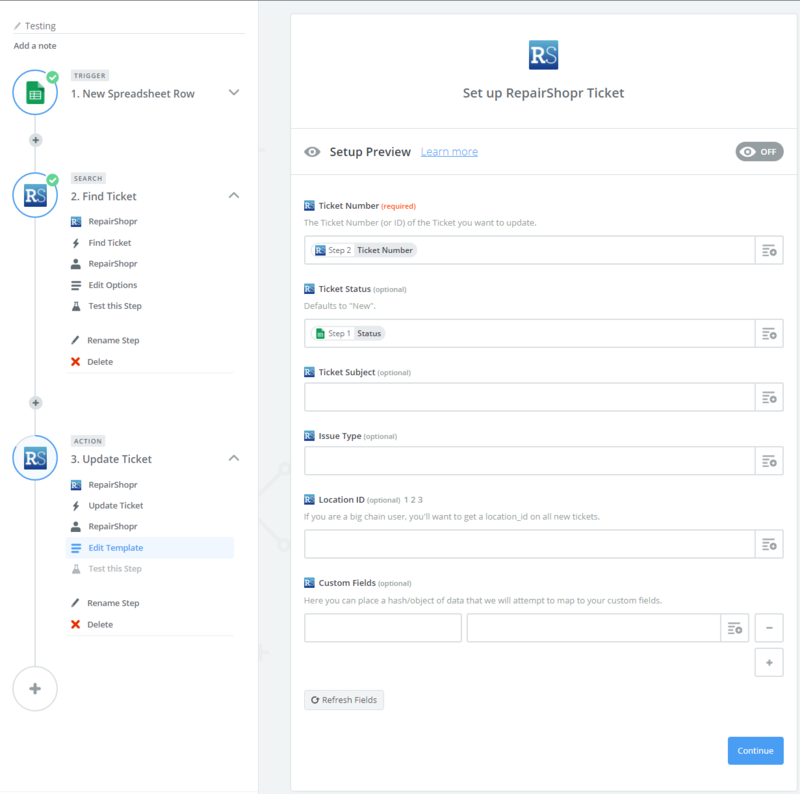 For example, "When a customer is created in your account, create a contact in Google Contacts"
The integration currently allows you to hook into "New Customer" and "New Invoice" triggers, and send the resulting data into any of the 500+ Zapier apps in their directory. It currently doesn't allow a full "two-way sync" where everything is updated on both sides with every update. 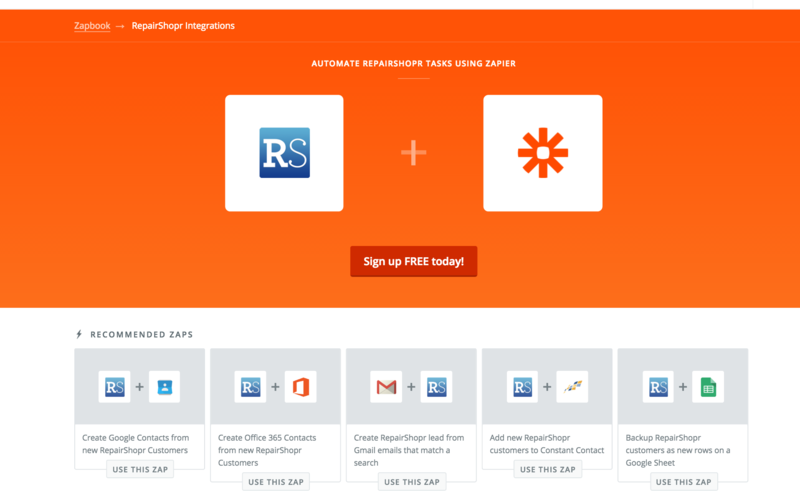 Once you have an account at Zapier, use our invite link in the RS App Center to get started. It will ask your API key and Subdomain to get authenticated with us - you can find that in the user menu (upper right corner) of your account. Then just decide where you want the data to go! The New Invoice trigger actually has a 5 minute delay to attempt to compensate for the fact that we don't know when an invoice is "done being edited". We think on average that's how long it takes before people are done editing line items. Note: Currently Zapier doesn't support custom ticket fields when using a trigger to create a new ticket. We have just released an update with Zapier to add more functionality to your ticket automation! Now you can search for a specific ticket by passing a search query, and update the status of existing tickets! 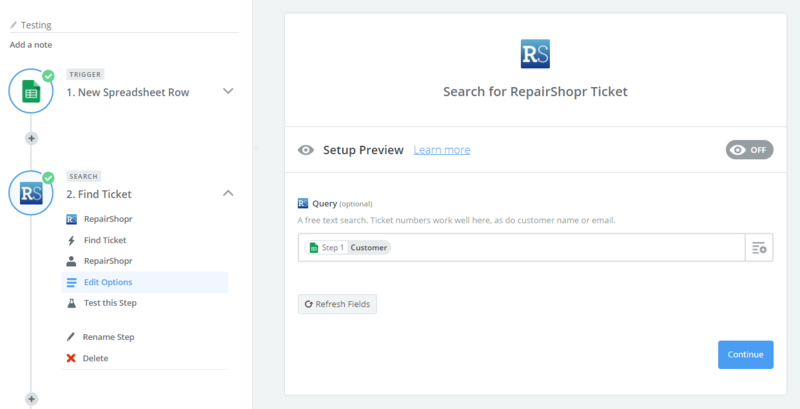 For searching tickets, you can pass along a text field, and Zapier will find and match it with a ticket. You can search for ticket number, customer name, customer email, or anything else you like. Once you have found your ticket, you can perform an action to update its status. For example, we passed the ticket number found in the search above to update the ticket status to the "Status" field located in the Google Sheet. With these two features combined, you can automate updating a ticket's status based on a trigger from another application! Keep your ticket search specific, as it finds one ticket at a time. You can add more than one field to the search to make it easier to find a ticket. As always, if you have any trouble getting this setup, feel free to reach out to help@repairshopr.com. We are more than happy to help!